Karur is not just about tourism but a lot of other things too. One of the popular things every visitor opts for is shopping along with touring important places in and around the city. So, it would be great if you know where and what exactly to shop for in Karur. While jewellers and silk showrooms are present in ample numbers, there are various shopping centres from where you can choose your favorite branded and fashionable outfits. Below listed are the shopping centres in Karur and also the famous departmental stores in the city from where you can get items required for day to day life. Markets in Karur are really a good place to bargain and gain a good amount of discount on vegetables, fruits, flowers etc. This is mainly because in markets like the farmers market and government markets, the farmers themselves sell their goods directly to the visitors, hence avoiding middlemen which in turn reduces the price of the goods. 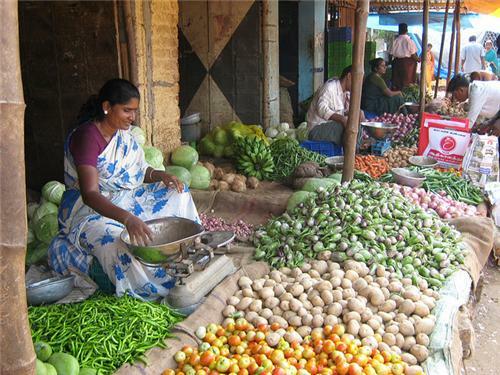 Karur is a central place for trading of agricultural goods mainly because of this reason. All the traders from nearby towns and villages are seen coming to the markets in Karur.